San Francisco is known for nature, museums, parks, nightlife, and shopping. 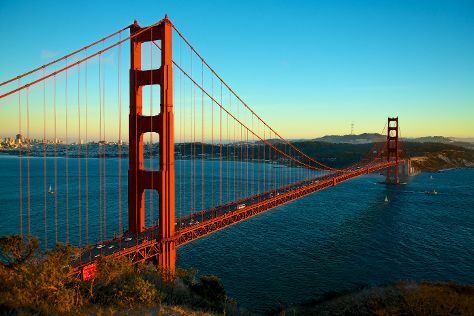 Your plan includes some of its best attractions: snap pictures at Golden Gate Bridge, tour the pleasant surroundings at Golden Gate Park, take a stroll through Fisherman's Wharf, and engage your brain at Exploratorium. To find ratings, maps, more things to do, and more tourist information, read our San Francisco trip website . If you are flying in from Iceland, the closest major airports are San Francisco International Airport, Metropolitan Oakland International Airport and Norman Y. Mineta San Jose International Airport. In March in San Francisco, expect temperatures between 21°C during the day and 11°C at night. Cap off your sightseeing on the 5th (Tue) early enough to travel back home.